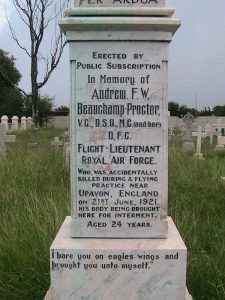 Andrew Frederick Weatherby Beauchamp-Proctor VC, DSO, MC & Bar, DFC. 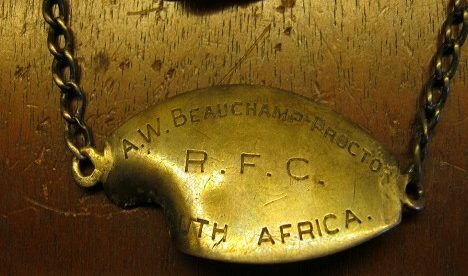 Born on 14th September 1894 at Cape Province, South Africa, Beauchamp-Proctor was the Squadron’s highest scoring ace during World War I. 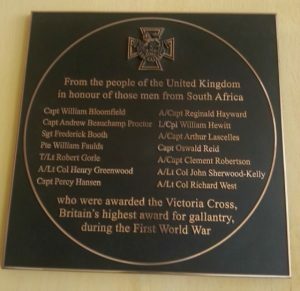 The son of a school teacher, when the war began he was a student of engineering at the University of Cape Town but abandoned his studies to join the army. He served as a signaller in the Duke of Edinburgh’s Own Rifles and saw action in German South-West Africa before his discharge from the army in August 1915. 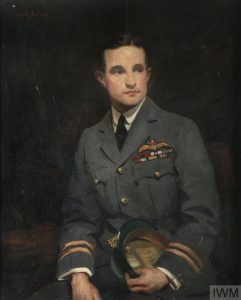 After completing his education, Beauchamp-Proctor joined the Royal Flying Corps in March 1917 and was commissioned upon his arrival in England. 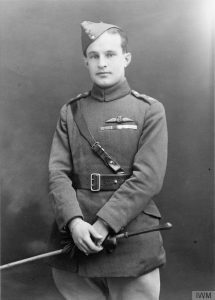 Having successfully completed pilot training, he was posted to 84 Squadron in late July and accompanied this unit to France in September 1917. 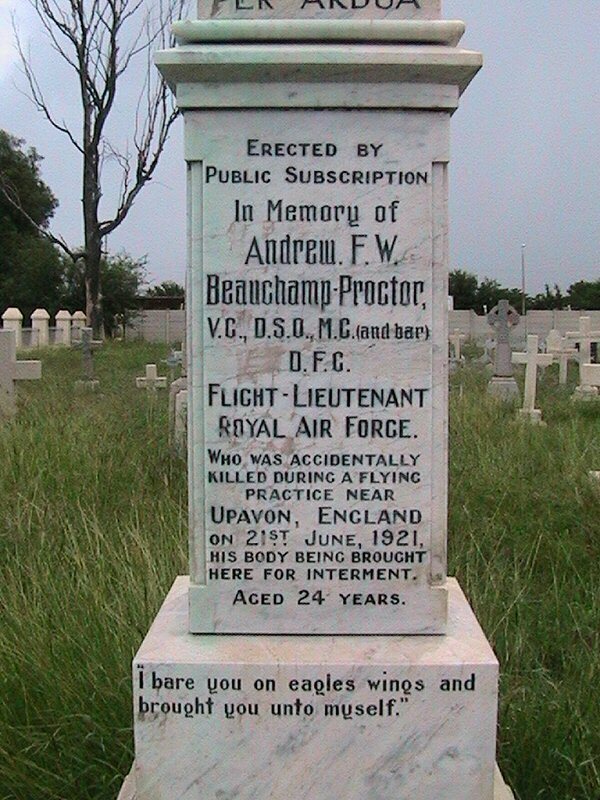 Beauchamp-Proctor was killed in an aircraft accident on 21st June 1921 and was buried with full military honours at Upavon, Wiltshire. His body was later returned to his native South Africa and now lies at St John’s Church, Mafeking. “Lt. (T./Capt.) 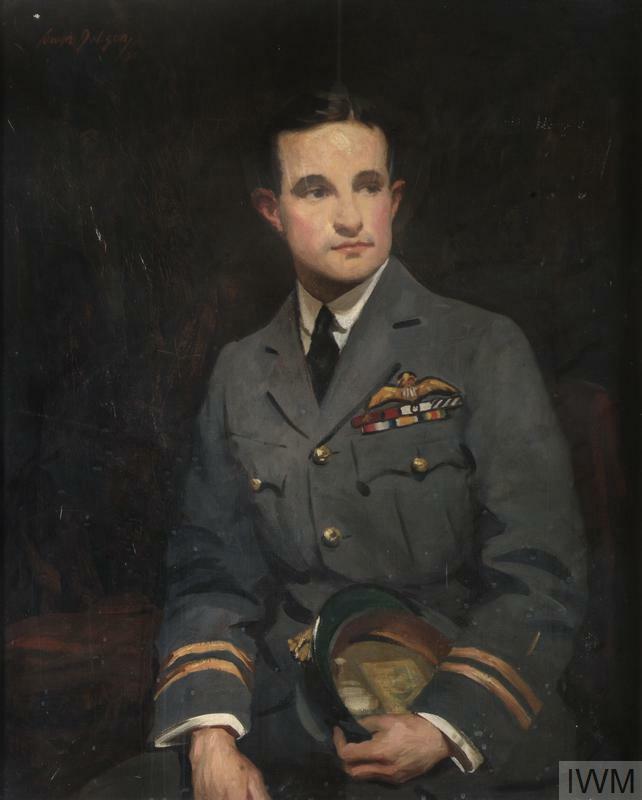 Andrew Weatherby Beauchamp-Proctor, M.C. 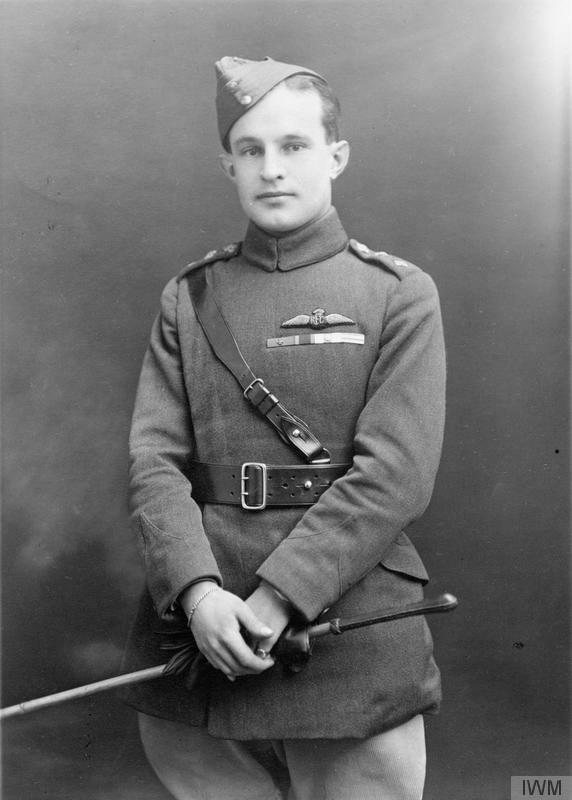 “Between August 8th, 1918, and October 8th, 1918, this officer proved himself victor in twenty-six decisive combats, destroying twelve enemy kite balloons, ten enemy aircraft, and driving down four other enemy aircraft completely out of control. Captain Beauchamp-Proctor’s work in attacking enemy troops on the ground and in reconnaissance during the withdrawal following on the Battle of St. Quentin from March 21st, 1918, and during the victorious advance of our Armies commencing on August 8th, has been almost unsurpassed in its Brilliancy, and. as such has made an impression on those serving in his squadron and those around him that will not be easily forgotten.